Enter the Online Discount Code: EARLYBIRD to your cart at check out, worth $3 for Aux Dog Company Shows. What will endure when the cataclysm arrives—when the grid fails, society crumbles, and we’re faced with the task of rebuilding? Anne Washburn’s imaginative dark musical comedy propels us forward nearly a century, following a new civilization stumbling into its future. 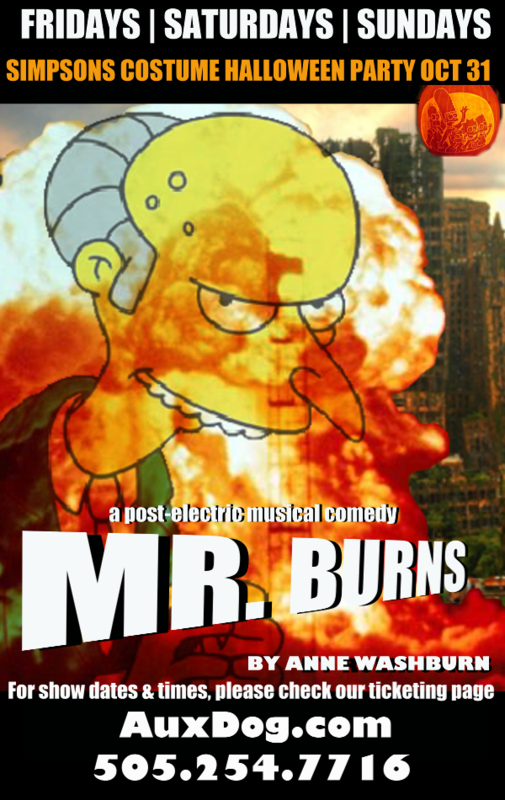 A paean to live theater, and to the resilience of Bart Simpson through the ages, Mr. Burns is an animated exploration of how the pop culture of one era might evolve into the mythology of another.